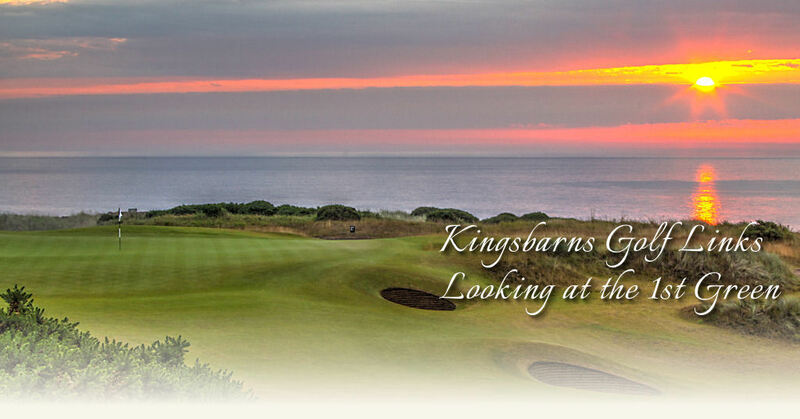 Welcome to Kingsbarns. We hope you enjoy your golf today. Aim down the left side with either a driver or 3 wood for longer hitters. 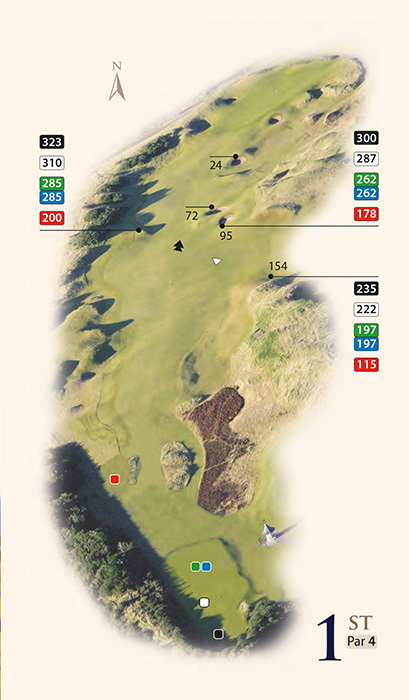 Note the obscured bunkers located in the right centre of the fairway. Approach: The front part of the green slopes back to front so an extra club won’t hurt you. Avoid the deep bunker front right. Your round begins by playing away North toward the sea beyond the green.